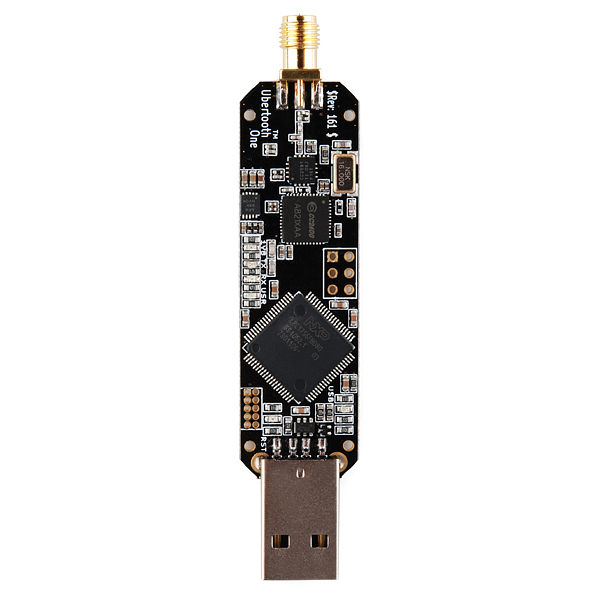 The Ubertooth One is an open source 2.4 GHz device suitable for Bluetooth experimentation. 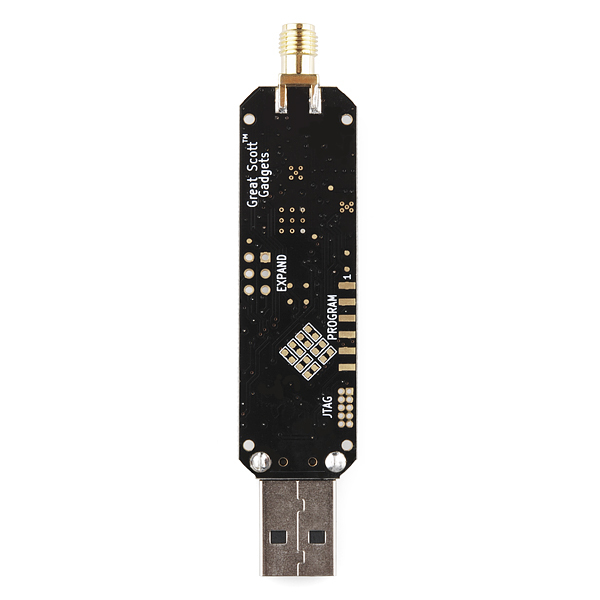 Based on the powerful LPC175x ARM Cortex-M3 microcontroller with full-speed USB 2.0, the Ubertooth One is a great way to develop custom Class 1 comparable Bluetooth devices. The entire board is onlytwo and a half inches long with a USB-A connector at one end and an RP-SMA connector at the other. One thing that sets the Ubertooth apart from other Bluetooth development platforms and Software Defined Radios (SDR) is that it's capable of not only sending and receiving 2.4 GHz signals, but can also operate in monitor mode, monitoring Bluetooth traffic in real-time. This operating mode has been present in low-cost WiFi modules for years and has found myriad uses in research, development and security auditing but no such solution existed for the Bluetooth standard until now. Also, because it's a fully open-source platform (software and hardware), the schematics and code are readily available for all of your hacking needs. Does it support Bluetooth LE? Is this a kit or a fully built device? This comes as shown, a board and an antenna. But you do have to attach the antenna. the price is a bit on the high side..
- see the videos from hak5 and you'll be concerned. - the price is as lil as it can be, you'll spend more money building one yourself first time. The one I bought didn't pass the usb enumeration process (indicated by the red usbled that supposed to be high). Mike Ossmann helped on this issue immediately, unveiling the cause. So I just reworked the CC2400 ic with a hot-air (I didn't have to resolder it completely, I've just remelted the solder under the pins - it took about 3 minutes) and ubertooth was fully operational. It's one of a huge quantity well-made devices, but if you'll get the same malfunction - it's pretty easy to deal with. explore the source package for an awesome 2.4GHz spectrum analyzer - it shows graphically all 2.4-2.5GHz activity. Thanks a lot! I was screwed with Maverick cause I wasn't able to install libusb-compat-0.1. I was so pissed... then I just found your comment. Thanks a lot for that well explain guide... easy to understand. Cheers !!! Software doesn't build at all on OS X 10.9.X (Mavericks). No binaries available for newest versions of Ubuntu, Windows, or OS X. If you are running the latest version of OS X you are SOL. This thing does what it claims, but is not for the weak at heart. Plan on spending several hours just getting it setup. I ended up having to install Ubuntu 12.04 in VMWare to run the software. 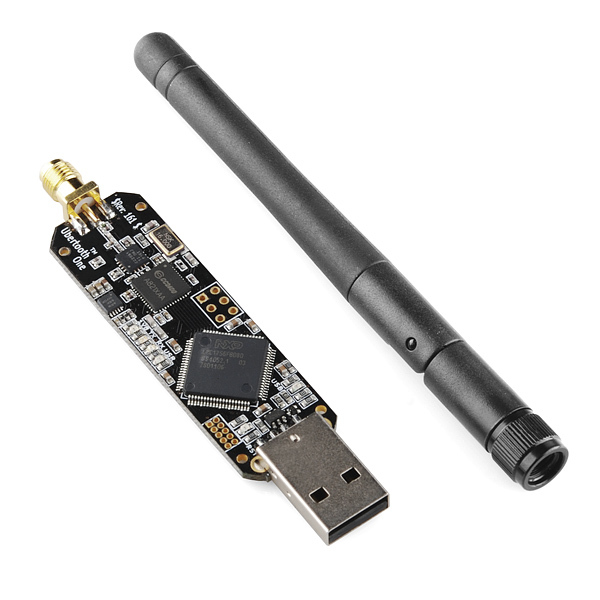 Can this be used for spectrum sensing applications for something like an ISM band cognitive radio? Can this be considered as an alternative to a USRP ? How far can the signal reach? Range depends on several factors, the most important being the nature of the device at the other end of the wireless connection. An Ubertooth One to Ubertooth One connection without obstructions should work up to about 100 meters. See the Wireless Buying Guide and How Far Does It Go?. Can this be used with a Uart port on Arduino or do I need a USB connection? The shipping firmware is only useful via USB, but there are pins exposed that would allow you to create different interfaces if you write your own firmware. can someone please point me to where I can buy the 10-pin 50-mil JTAG header that goes on this board? I think thare has been a mistake on the description . 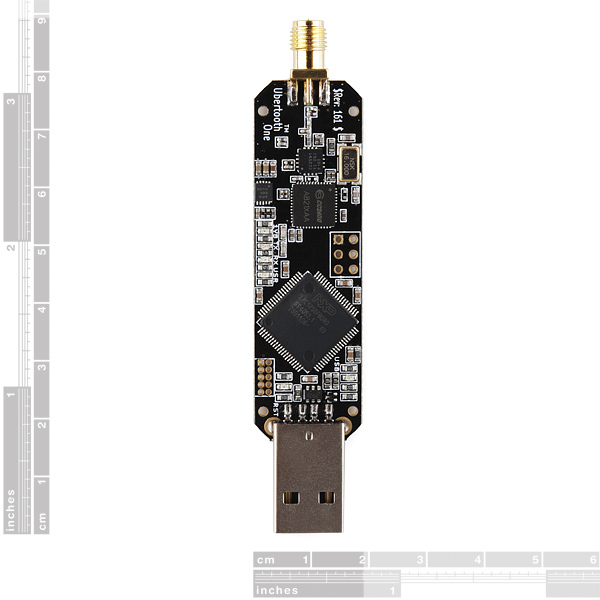 On the projects site I read this one "Ubertooth Zero, a low power (comparable to a Class 3 Bluetooth device) USB dongle." And on your description you say "Class 1 comparable" . Ubertooth Zero and Ubertooth One are two different things. Does Sparkfun ship Ubertooth one with pre-programmed bootloader and any particular firmware? I ask because I can't get it to be recognized on any USB port on any system, at all. I don't have any ISP tools handy at this instance in time, but was certainly expecting pre-programmed firmware. Yes, it ships with firmware, including a bootloader. Follow the Getting Started instructions on the sourceforge page and email me (mike@ossmann.com) and/or the ubertooth-general list for support. This is a nice piece of hardware! I wish it had a plastic enclosure, though. If it came with the enclosure, I'd be compelled to rip it off. It is designed to fit the P3A-260906U enclosure. I also recommend 5/8" clear heat shrink tubing. love your use of the word myriad. The ubertooth worked as expected in linux. Originally had a problem with it not connecting properly to an ubuntu VM, but works fine on physical hardware. The preloaded firmware is 2 years out of date so please remember to update the firmware when you get it.